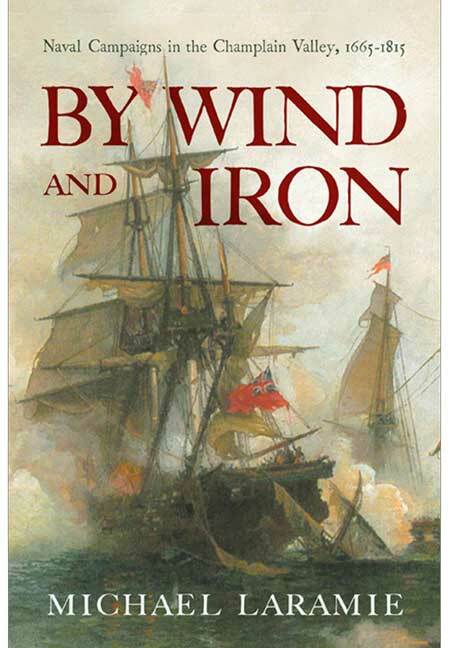 You'll be £25.00 closer to your next £10.00 credit when you purchase By Wind and Iron. What's this? Order within the next 2 hours, 35 minutes to get your order processed the next working day! century through the tremendous American victory over the British at the Battle of Plattsburgh on Lake Champlain in 1814. Using period letters, journals, and other primary source materials, the author examines the northeastern waterways and their tributaries within the framework of the soldiers and sailors who faced the perils of the campaigns, while at the same time clarifying the key role played by this region in the greater struggle for North America and American independence. In support of the narrative, the book also contains appendices that include after action reports from various fleet commanders, tables of fleet strengths, additional battle maps, a glossary, and a dictionary of lake warships with notes on vessel types, typical armament, construction, deployment, and fates. For more than 150 years, the natural invasion route along the waterways of the Champlain and Richelieu valleys into northeastern North America was among the most fiercely contested in the history of the continent. Whether the French and their Indian allies attacking British forts and settlements during the Seven Years’ War, the American Continentals striking north into Canada during the American Revolution or the British battling French and later American forces in these wars and the War of 1812, it was clear to policy makers in Quebec, London, Paris, Philadelphia, and Washington that whoever controlled this corridor and its lakes and rivers, controlled the heart of the continent. Laramie details the maritime history of this region from the first French fortifications along the Richelieu River in the late seventeenth century through the American victory over the British at the Battle of Plattsburgh on Lake Champlain in 1814. Using period letters, journals, and other primary source materials, he examines the north-eastern waterways and their tributaries within the framework of the soldiers and sailors who faced the perils of the campaigns, while at the same time clarifying the key role played by this region in the greater struggle for North America and American independence.